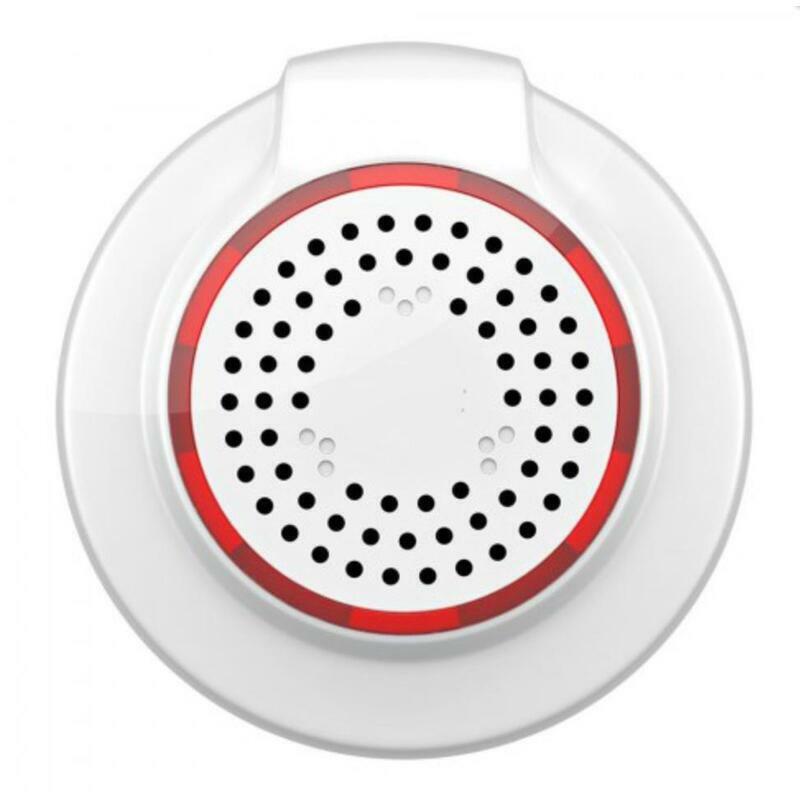 The DOME Z-Wave Siren is a versatile Z-Wave siren designed to alert you to more than just intruders. Release the power of your Z-Wave home security system with a siren that firmly reminds you something’s amiss or blares when trouble’s coming. 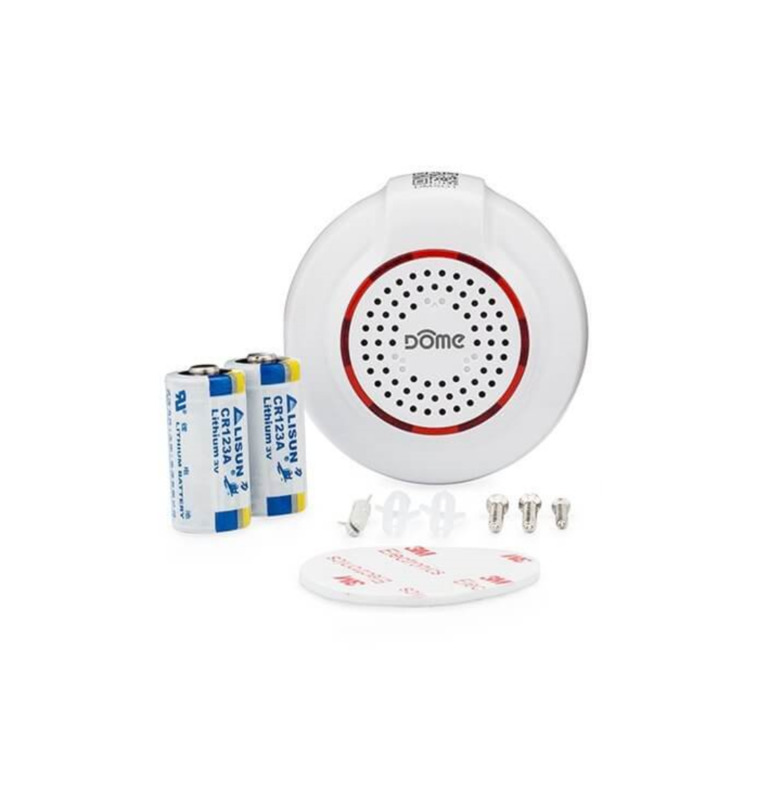 The Dome Home Automation Wireless Z-Wave Battery Powered Home Security Siren works with your other security hub’s components to alert you when a door is ajar there’s someone on your property or you have a home invasion. No need to look at your phone to know when it’s time to take action. Hear the signal and heed the call. 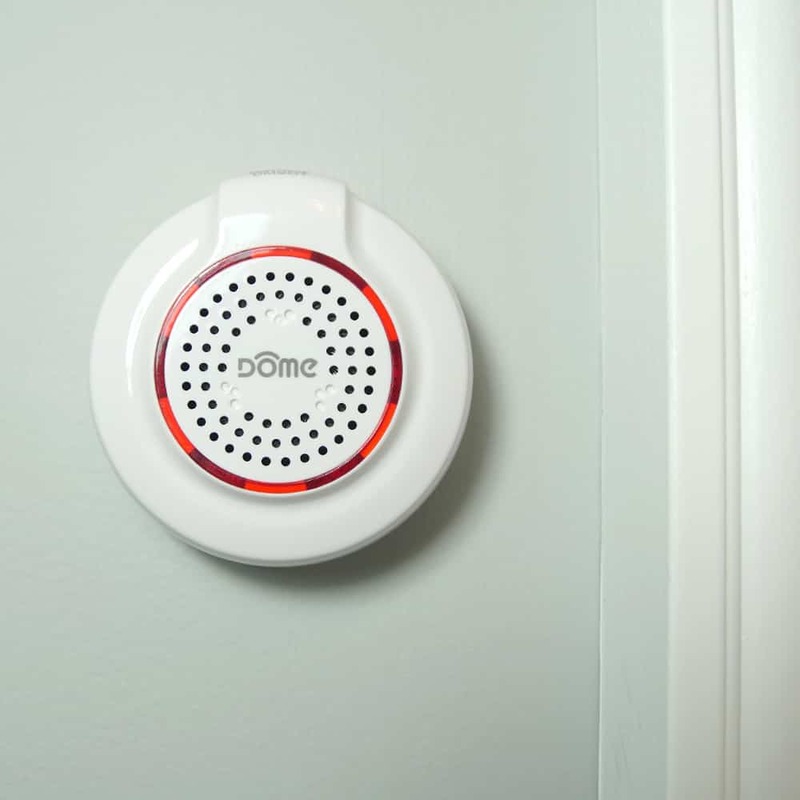 The Dome Home Automation Battery-Powered Siren updates you with your choice of three volume levels and you can choose specific chimes for various notifications. Configure your siren to quietly let you know when your teen has left the building or has returned. Make sure you’re alerted if your bedroom window is opened at night. The siren and flashing LED lights can be set up to clue you in on doors that are open when they shouldn’t be. Install it easily without wires anywhere and its low footprint renders it almost invisible. Use with most any Z-Wave Hub including: Vera Fibaro HC2 Wink Home Seer SmartThings Harmony and more. Secondary Chimes volume control and advance configuration settings my not be available through all smart Hubs. Visit Dome's How-to page for more information. 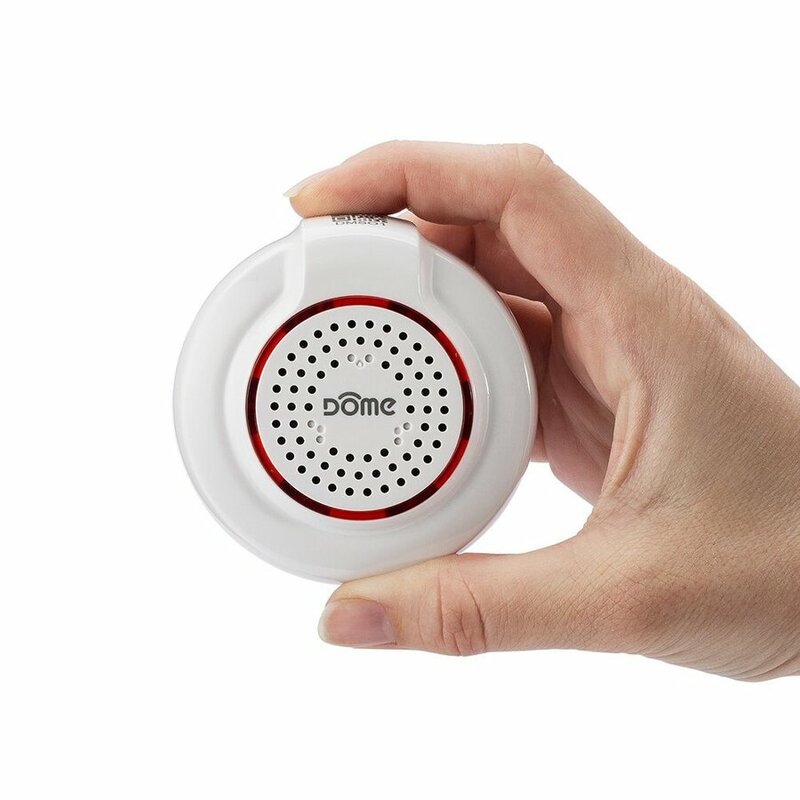 The DOME Z-Wave Siren is a Z-Wave Plus (500 series) compatible battery-powered siren designed to alert you to more than just intruders. Know when a door opens someone pulls into the driveway or if there is a break-in all without looking at your phone. With three volume levels and ten different chimes a single DOME Z-Wave Siren can alert you to many different events in your home. Never leave the garage door open at night again. Configure the DOME Z-Wave Siren to automatically sound a chime if the garage door is left open after sunset.